Fossil fuels have limited availability, and – most important – burning them endangers the world’s climatic system. Thus, there is an urgent demand for alternate, environment-friendly fuel systems. A lot of energy can be captured using e.g. wind power stations but making this compatible to classical fuel uses is challenging. Liquid organic hydrogen carriers (LOHC) might be a way forward, but it is highly important to assess their effects on the environment to avoid replacing one danger by a second one. An ecotoxicological assessment of a range of LOHC candidates was carried out to explore their potential danger to the environment. 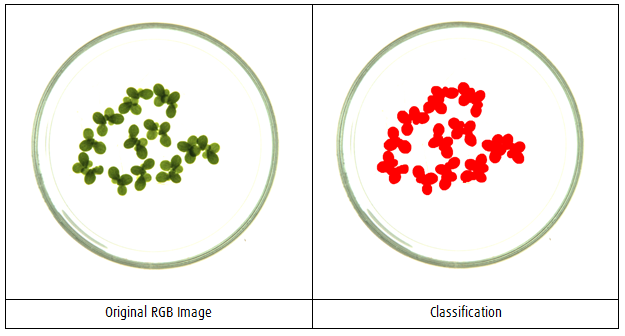 In this context, the duckweed test with the LemnaTec Scanalyzer served to analyse whether a given substance is harmful to higher plants, a data type which is crucial for quantifying the potential harmfulness towards the environment.